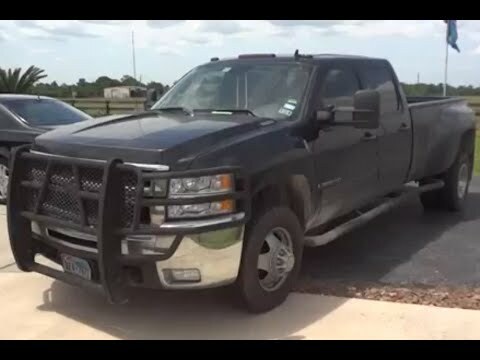 Whether purchasing for commercial construction, agriculture or recreational towing, if your needs are truly "heavy-duty" you'll likely find those needs met with the 2008 Chevrolet Silverado HD, which offers all of the virtues, with few of the vices, normally associated with a "heavy-duty" truck. Great reliable truck for work and family. This is a diesel truck and it has been very reliable and has had minimal problems. It gets good gas mileage on highway and is very sturdy and can tow beautifully. The ride is smooth and the interior has everything you could need. Very roomy in the front and back seat. It should have been a lemon law. It's been in the shop more times than I can count. It basically has a rebuild motor, from new injectors to a new exhaust. GPS is great, DVD is also great. It's a great pickup to travel to the rodeos when it's not broke down.. It also has bad fuel mileage. It has been reliable for the last 10 years. My 2008 Chevy dually has been many miles from rodeo to rodeo. It has endured a lot of ups and downs. It pulls a trailer great, drives down the road great. I would always pick a Chevy over anything to go up and down the road. CUES, INC. IS RECALLING CERTAIN MODEL YEAR 2007-2009 SERVICE VEHICLES BUILT ON VARIOUS CHASSIS EQUIPPED WITH CARRIER AIRV CEILING UNITS, MODEL NOS. 68RV0010BA, 68RV0012CA, AND 68RV0010EA. THE HEATER ELEMENT IN THESE ASSEMBLIES MAY BE DEFECTIVE WHICH COULD CAUSE THE UNIT TO CREATE SMOKE OR SPARKS. THIS DEFECT COULD RESULT IN A FIRE. CUES IS WORKING WITH CARRIER TO REMEDY THE AFFECTED VEHICLES. REPAIRS WILL BE MADE BY CARRIER FREE OF CHARGE. PLEASE SEE CARRIER'S DEFECT REPORT 09E-053. THE SAFETY RECALL IS EXPECTED TO BEGIN DURING DECEMBER 2009. OWNERS MAY CONTACT CARRIER AT 1-877-584-7059 OR CUES AT 1-407-849-0190. GM IS RECALLING CERTAIN MODEL YEAR 2006-2009 BUICK, LUCERNE; CADILLAC DTS; HUMMER H2; MODEL YEAR 2008-2009 BUICK ENCLAVE; CADILLAC CTS; MODEL YEAR 2007-2009 CADILLAC ESCALADE, ESCALADE ESV, ESCALADE EXT; CHEVROLET AVALANCHE, SILVERADO, SUBURBAN, TAHOE; GMC ACADIA, SIERRA, YUKON, YUKON XL; SATURN OUTLOOK; AND MODEL YEAR 2009 CHEVROLET TRAVERSE VEHICLES EQUIPPED WITH A HEATED WASHER FLUID SYSTEM (HWFS). A RECALL WAS IMPLEMENTED IN 2008 TO ADD A FUSE TO THE CONTROL CIRCUIT HARNESS TO ADDRESS THE POTENTIAL CONSEQUENCES OF A PRINTED CIRCUIT BOARD (PCB) ELECTRICAL SHORT. HOWEVER, THERE HAVE BEEN NEW REPORTS OF THERMAL INCIDENTS ON HWFS MODULES AFTER THIS IMPROVEMENT WAS INSTALLED. THESE INCIDENTS RESULTED FROM A NEW FAILURE MODE ATTRIBUTED TO THE DEVICE'S THERMAL PROTECTION FEATURE. THE SIGNIFICANCE VARIES FROM MINOR DISTORTION TO CONSIDERABLE MELTING OF THE PLASTIC AROUND THE HWFS FLUID CHAMBER. IT IS POSSIBLE FOR THE HEATED WASHER MODULE TO IGNITE AND A FIRE MAY OCCUR. DEALERS WILL PERMANENTLY DISABLE AND REMOVE THE HEATED WASHER FLUID MODULE. AN UPDATED PAGE FOR THE OWNER MANUAL WILL BE PROVIDED AND INSERTED IN THE OWNER MANUAL TO DOCUMENT THAT THE FEATURE HAS BEEN PERMANENTLY DISABLED AND REMOVED FROM THE VEHICLE. THE SAFETY RECALL IS EXPECTED TO BEGIN ON OR BEFORE JUNE 11, 2010. OWNERS MAY CONTACT BUICK AT 1-866-608-8080, CADILLAC AT 1-866-982-2339, CHEVROLET AT 1-800-630-2438, SATURN AT 1-800-972-8876, GMC AT 1-866-996-9463 AND HUMMER AT 1-800-732-5493 OR AT THE OWNER CENTER AT WWW.GMOWNERCENTER.COM. General Motors LLC (GM) is recalling certain model year 2007-2011 Chevrolet Silverado HD 2500/3500 trucks manufactured January 18, 2007, to June 22, 2011, and GMC Sierra HD 2500/3500 trucks manufactured January 22, 2007, to June 21, 2011, and equipped with an auxiliary battery. Owners may unknowingly draw too much current through the vehicle's trailer harness resulting in the melting of fusible link for the auxiliary battery. If the fusible link melts it may come into contact with adjacent components, damage the electrical center cover, the nearby wiring harness conduit and other vehicle components, increasing the risk of a fire. GM will notify owners and dealers will replace the jumper harness with one that includes a 40 amp inline fuse, and provide the owner with supplemental Owner Manual information, free of charge. The manufacturer has not yet provided a notification schedule. Owners may contact Chevrolet customer service at 1-800-222-1020 or GMC customer service at 1-800-462-8782. GM's number for this recall is 14260. K2 MOTOR IS RECALLING 1,921 AFTERMARKET HEADLAMPS OF VARIOUS MODELS SOLD FOR USE ON THE ABOVE LISTED VEHICLES. THESE HEADLAMPS ARE MISSING THE AMBER SIDE REFLEX REFLECTOR WHICH FAILS TO CONFORM WITH THE REQUIREMENTS OF FEDERAL MOTOR VEHICLE SAFETY STANDARD NO. 108, "LAMPS, REFLECTIVE DEVICES, AND ASSOCIATED EQUIPMENT." WITHOUT THE AMBER SIDE REFLEX REFLECTORS, THE LIGHTING VISIBILITY MAY BE AFFECTED, POSSIBLY RESULTING IN A VEHICLE CRASH. K2 MOTOR WILL NOTIFY OWNERS AND OFFER A FULL REFUND. THE RECALL IS EXPECTED TO BEGIN DURING SEPTEMBER 2008. OWNERS MAY CONTACT K2 MOTOR AT 1-909-839-2992. GM IS RECALLING 857,735 MY 2006-2008 BUICK LUCERNE; CADILLAC DTS; HUMMER H2; MY 2007-2008 CADILLAC ESCALADE, ESCALADE ESV, ESCALADE EXT; CHEVROLET AVALANCHE, SILVERADO, SUBURBAN, TAHOE; GMC ACADIA, SIERRA, YUKON, YUKON XL, SATURN OUTLOOK; AND MY 2008 BUICK ENCLAVE VEHICLES EQUIPPED WITH A HEATED WIPER WASHER FLUID SYSTEM. A SHORT CIRCUIT ON THE PRINTED CIRCUIT BOARD FOR THE WASHER FLUID HEATER MAY OVERHEAT THE CONTROL-CIRCUIT GROUND WIRE. THIS MAY CAUSE OTHER ELECTRICAL FEATURES TO MALFUNCTION, CREATE AN ODOR, OR CAUSE SMOKE INCREASING THE RISK OF A FIRE. DEALERS WILL INSTALL A WIRE HARNESS WITH AN IN-LINE FUSE FREE OF CHARGE. THE RECALL BEGAN ON SEPTEMBER 12, 2008. OWNERS MAY CONTACT BUICK AT 1-866-608-8080; CADILLAC AT 1-800-982-2339 OR HTTP://WWW.CADILLAC.COM; CHEVROLET AT 1-800-630-2438; SATURN AT 1-800-972-8876 OR HTTP://WWW.SATURN.COM, GMC AT 1-866-996-9436; OR HUMMER AT 1-800-732-5493; OR THROUGH THEIR WEBSITE AT HTTP://WWW.GMOWNERCENTER.COM . General Motors LLC (GM) is recalling certain model year 2007-2008 Chevrolet Silverado 2500HD and 3500HD trucks manufactured November 28, 2006, to August 29, 2008, and 2007-2008 GMC Sierra 2500HD and 3500HD trucks manufactured November 27, 2006, to August 29, 2008. The affected vehicles are equipped with a passenger side frontal air bag that may be susceptible to moisture intrusion which, over time, could cause the inflator to rupture upon its deployment. In the event of a crash necessitating deployment of the passenger's frontal air bag, the inflator could rupture with metal fragments striking the vehicle occupants, potentially resulting in serious injury or death. GM will notify owners, and dealers will replace the front passenger air bag inflator, free of charge. GM issued an interim notification to owners on July 27, 2015. The recall began on July 27, 2015. Owners may contact Chevrolet customer service at 1-800-222-1020 or GMC customer service at 1-800-462-8782. GM's number for this recall is 15438.